Looking to add a little personal touch to your professional outfits? Our collection of Essential Socks enlivens your feet without losing sight of the primary objective: elegance. For the wisest of us, the socks of this section adopt more classical patterns: solid color, stripes and other regular shapes are de rigueur in this collection. Our models of socks for women will retain all the femininity of your professional attire thanks to polka dot designs and various colors. 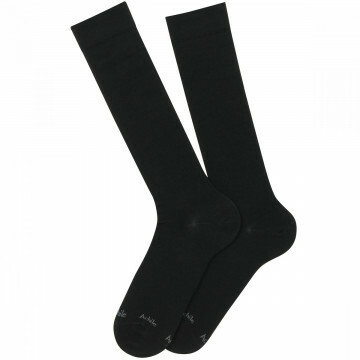 And as always, the Essential Achile socks are made in France and offer you the choice of comfort with products made of silk, cotton, thread of Scotland, etc.